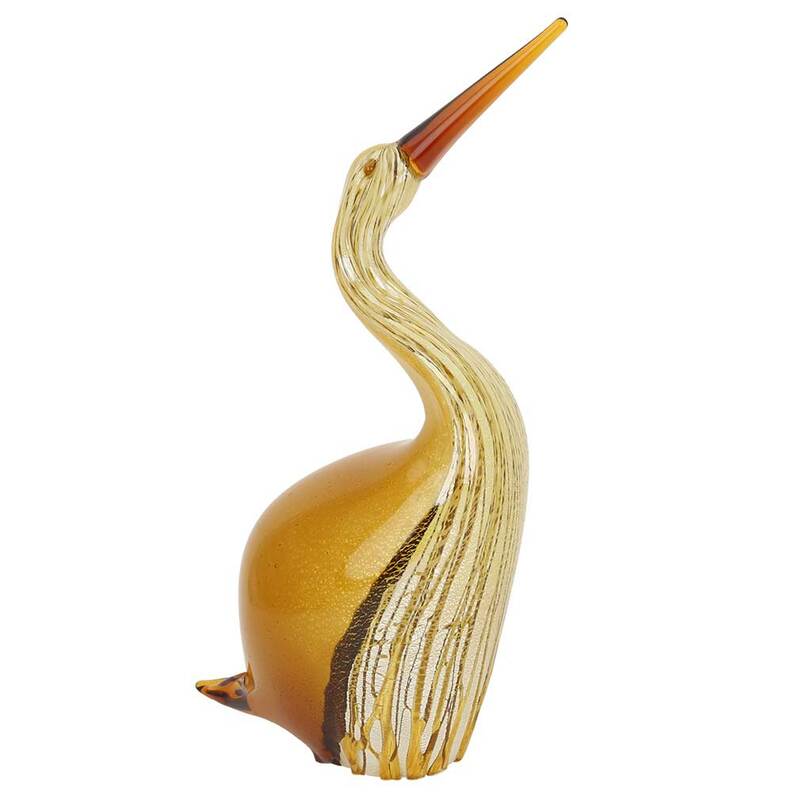 Stunningly beautiful and so unique, this Murano Glass Heron Bird sculpture is created by acclaimed Murano Glass masters in Venice using the glassmaking methods that have been passed from father to son for centuries. The art of glassmaking is still alive and well on Murano Island, where the millennial tradition of crafting gorgeous glass pieces is continued by highly skilled and very enthusiastic artists and artisans. 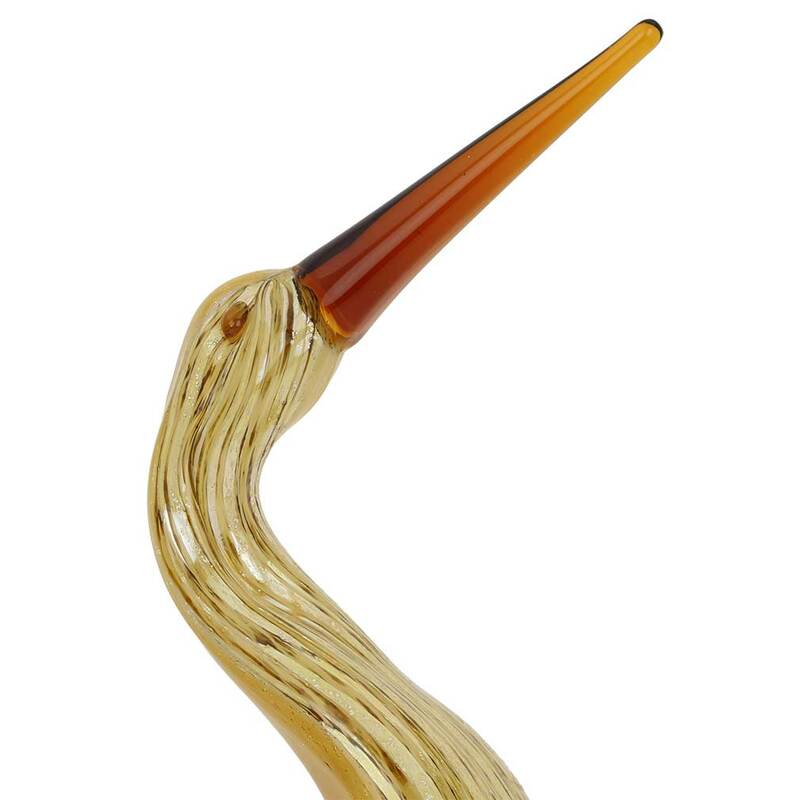 The artistic talent and technical skill of the Murano masters shines through in this gorgeous Venetian bird where seemingly simple form and unique design conceal hours of meticulous and labor-intensive work. 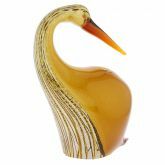 With its deep colors, enhanced by the shimmer of 925 silver foil infused in the glass, and exquisite forms, this Murano Glass Heron will add a dreamy Venetian touch to your home and will inspire everyone to see Venice and experience its unique beauty and art. 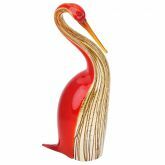 This heron, or a pair of them, will make a perfect gift for special occasions such as weddings, birthdays, or anniversaries, delighting those who appreciate legendary Italian art and craftsmanship. 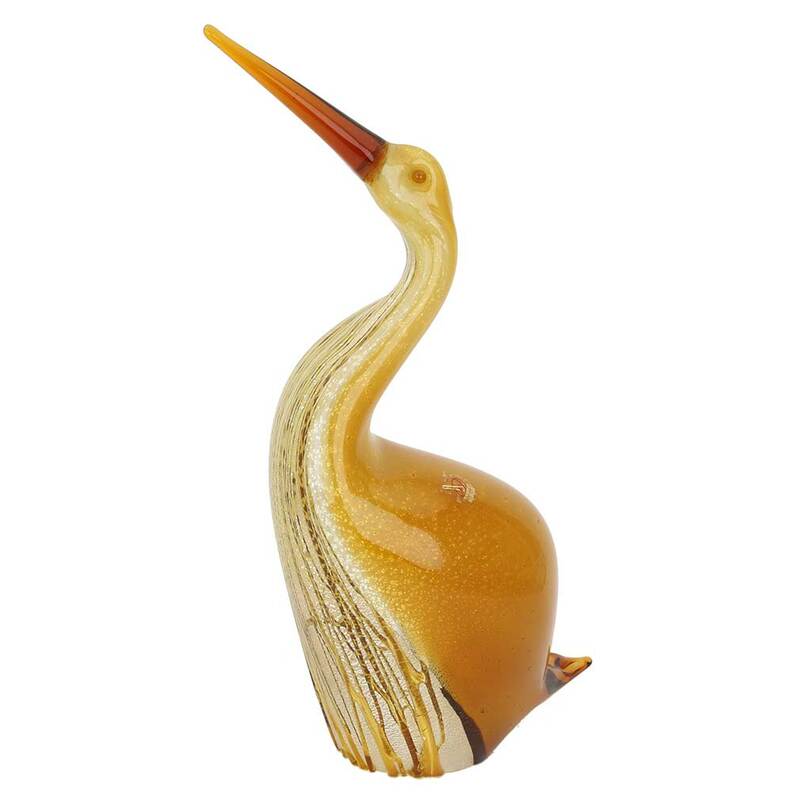 Measurements: This glass bird sculpture measures 15 inches in height and 6 inches in width in its widest part. The depth is 3 1/2 inches. 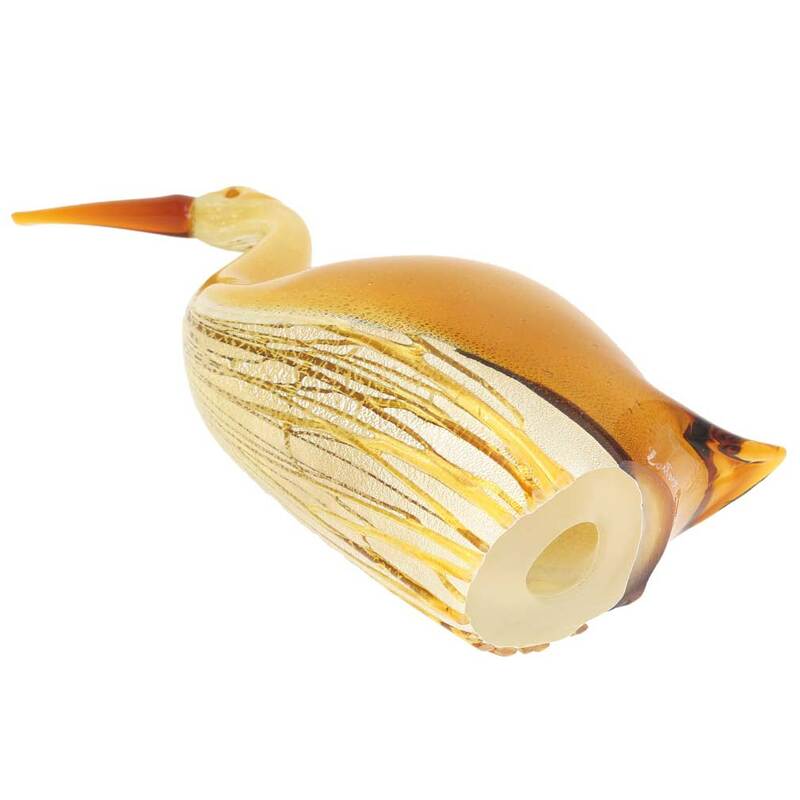 It is very well packaged to avoid breakage in transit and comes with the certificate of authenticity and the attached sticker of the official Italian Consortium of Murano Glass Artisans. 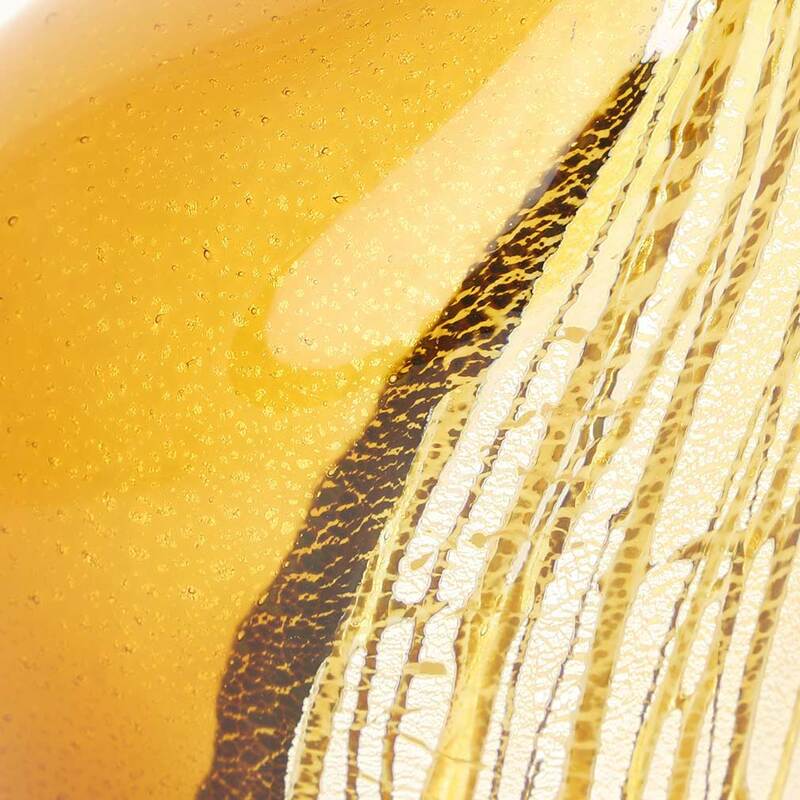 As this sculpture is a unique piece of art made by hand, some variations of colors and patterns as well as random bubbles inside glass are possible.